A few weeks ago, my friends from Cascade Ice Water (www.cascadeicewater.com) sent me samples of their line of sparkling organic bottled water. 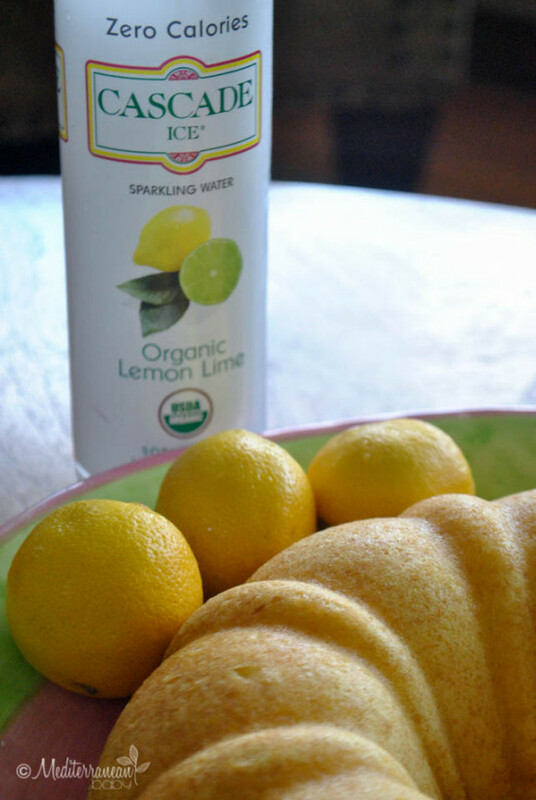 Their organic line comes in a variety of flavors such as Mixed Berry, Lemon Zest, Citrus Twist, and Lemon Lime. They are all sodium free, caffeine free, and gluten free. For a family that LOVES sparkling water and avoids juices, sodas, and sugary drinks at all costs, Cascade Ice Sparkling Water was welcomed with open arms at our house. I love that the organic line of sparkling waters have the essence or hint of berry or citrus to add a bit of flavor to the water. It’s just like adding a lemon or orange to my sparkling water at a restaurant, but without any fuss!! It’s already in there!! Thank you, Cascade Ice. We are hooked! And who knew, you can even use Cascade Ice Water for baking!!! I created this recipe the other night with my kids! We all love LEMONS!!!! In a medium bowl, combine cake ingredients and pour into a greased bunt pan. While the cake is baking, combine syrup ingredients in a small saucepan and bring to a boil. Whisk thoroughly and remove from heat. 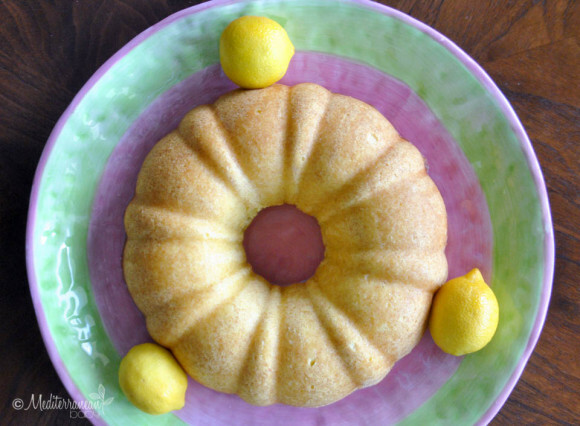 Remove cake from the oven, flip, and transfer to a serving dish. Drizzle half of the syrup over the cake. Serve and add syrup if desired to each plated piece. Definitly somthing I will try. Looks delicious!